This trendy USA made organic cotton girls dress features a fun brunch print, complete with yummy bacon, eggs, and French toast. 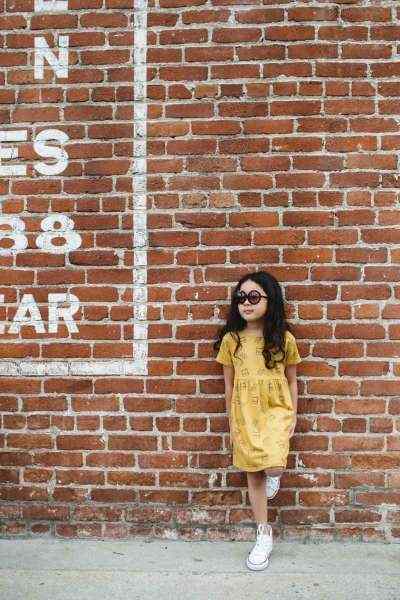 Brunch is always a good idea! 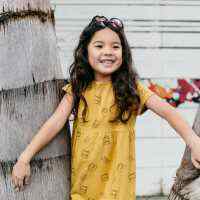 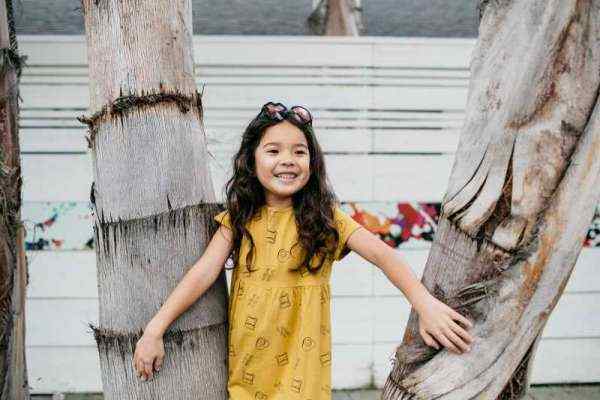 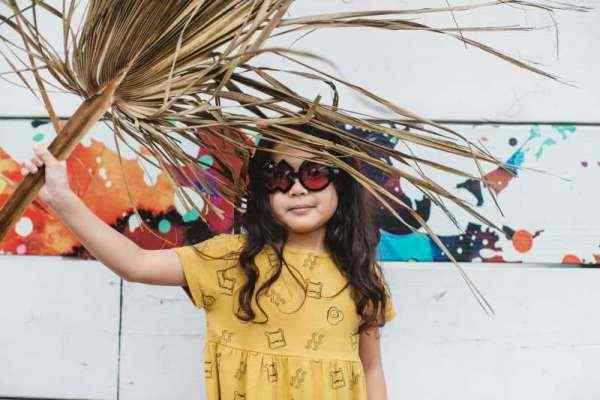 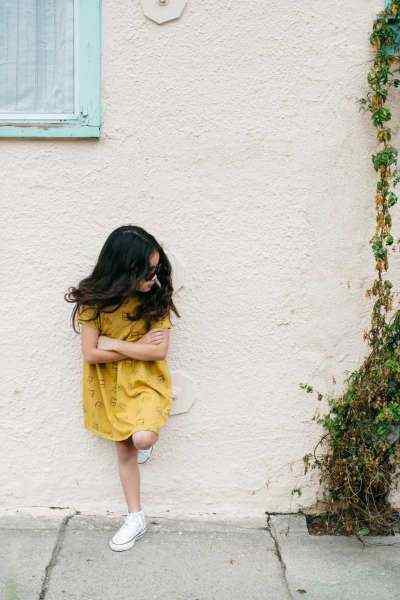 This modern organic cotton kid's dress and the cute fabric were made in the USA in trend setting Los Angeles. 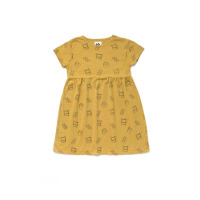 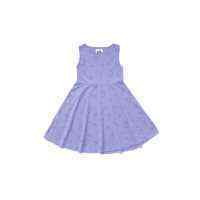 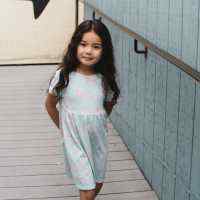 This hip made in USA organic cotton child dress is super comfortable so is ideal for everyday wear. 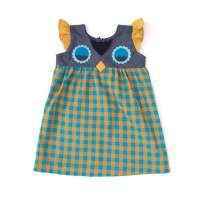 This trendy American made organic cotton girls dress also makes a fun unique dress for the birthday girl.